DRY AS TOAST: IKEA's "Cook This Page" Recipe Series Is a Coloring Page for Food! IKEA's "Cook This Page" Recipe Series Is a Coloring Page for Food! Remember how much I loved Ikea’s minimalist cookbook way back in 2010? (Side note: can you believe that was 7 years ago? Yipers...) Well now everybody's favorite build-it-yourself-because-you're-too-broke-to-buy-pre-built-furniture furniture store is injecting a little more fun and play into cooking with parchment recipe sheets that resemble its assembly instructions. 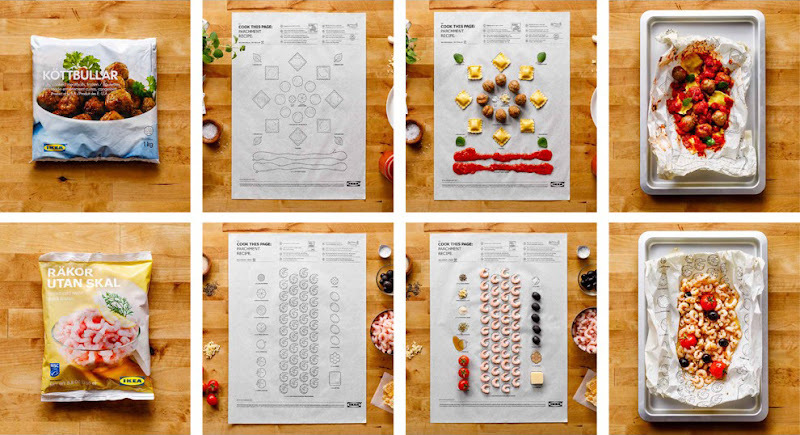 In order to get people comfortable with cooking—and buy its kitchen gear, obviously—ad agency Leo Burnett Toronto designed “The Cook This Page Parchment Paper Recipe Series.” Various recipes, each of which could be made with IKEA items, are illustrated and printed on parchment paper with food-safe inks. All you have to do is fill in the illustrations with the necessary ingredients and amounts, wrap it all up and pop it into the oven, recipe sheet and all. It’s like a coloring page for food! Though I can't lie, am I really going to lay out each shrimpy one by one like that? And I might have to stack that ravioli recipe about four high just make a dent on this hunger...but I'd totally do it for an Instagram post. 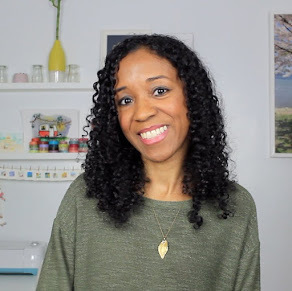 The “Cook This Page” campaign launched in October 2016 at 18 IKEA locations around Canada and all 12,500 parchment recipe posters were gone within hours. And just last week, the campaign won a Gold Lion in the Outdoor category at the 64th annual Cannes Lion International Festival of Creativity. It’s such a simple concept—that still had to overcome lots of challenges to execute properly and safely—and completely on brand. Hopefully, they decide to test that idea out over here!